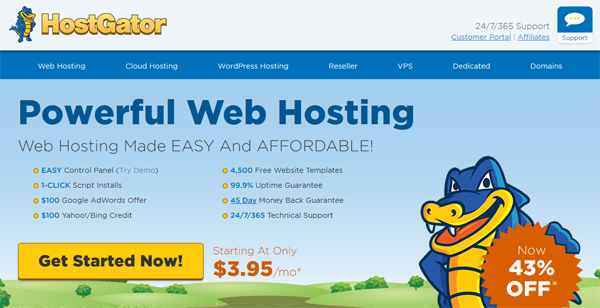 HostGator is one of the more established web hosting companies around these days. They are actually one of the ten largest web hosting companies in the world. HostGator provides not only shared web hosting plan, but you can also find WordPress hosting, VPS, Dedicated hosting, and Cloud hosting. On their website, they state that their hosting is fully guaranteed by the CEO and encourage you to have your support ticket assigned to him should you have any problem with HostGator’s regular support. HostGator used to be much better. Lately though, I’d say their hosting is just okay.